Founded over thirty years ago, their overriding principles continue to center on offering the highest levels of customer service, product quality and choice. Attention to these have helped them to achieve leadership status in the UK ornithological market. Quality is paramount and has been developed over years of partnership and collaboration with some of Japans leading optical manufacturers. 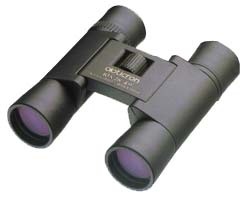 The benefits of these relationships are seen in the quality of their binoculars and telescopes as well as the value for money which we believe is second to none. 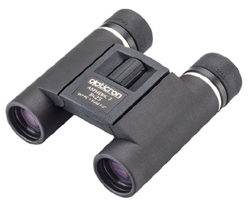 An excellent alternative to quality conventional sized binoculars, the Opticron waterproof series represents the very latest developments in compact binocular technology. Available in 8x 10x or high power 12x format, all feature high definition optics that deliver superb clarity and natural color contrast - critical for accurate observation. The lightweight rubber armoured bodies are fully shockproof and nitrogen filled, ensuring total performance in the toughest field conditions. All models have a full 'B' specification eyepieces for spectacle wearer's, focus down to under 4m and come complete with a full 30 year guarantee and are supplied in a soft case with strap. OASIS is the name given to a 64 layer coating process applied to the reflective surface of each roof prism. The application of OASIS improves light emission to 99% over a broader spectrum at the reflective face - measurably increasing light transmission through the prism and further improving the clarity of the images you see. The latest Aspheric lens technology combined with long eyerelief eyepieces for spectacle wearers, twist-type eyecup assembly & PC Phase corrected for maximum clarity.
. 10 Year guarantee and are supplied in a soft case with strap.
. Supplied in a soft case with strap. Supplied in a soft case with strap. 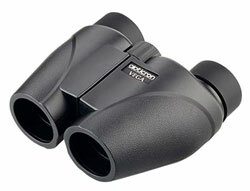 The compact Vega is an excellent choice for those people looking for an affordable rubber armoured compact binocular;ar with long eyerelief for spectacles. 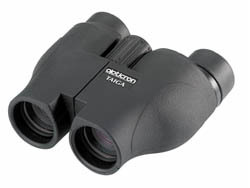 Great for all general applications they feature fully multi-coated lenses, good close focus and twist-type large diameter rubber eyecups for viewing comfort. 5 year guarantee and are supplied in a soft case with strap.